In Match 5 of Indian Premier League 2019 (IPL 2019), Chennai Super Kings will look to continue their winning momentum against new look Delhi Capitals at Ferozshah Kotla in New Delhi on Tuesday. After Rishabh Pant’s 18-ball fifty against Mumbai Indians, the shrewd tactician in MS Dhoni will be plotting how to stop him early. Pant has once again set the tone with a magnificent 78 off 27 balls in Delhi Capitals' 37-run win against Mumbai Indians. CSK, with their experience of winning important moments, will certainly make Capitals wary. However, Chennai Super Kings will be a different challenge for the Capitals, who don't have an enviable record against Dhoni's men at their home ground. The nature of the Kotla track makes CSK favourites with their spin trio of Harbhajan Singh, Ravindra Jadeja and Imran Tahir having already hit the straps in the low-scoring opener against the Royal Challengers Bangalore. A look at Pant's track record indicates that he has had problems against slow bowlers and Dhoni, who has seen enough of the youngster, will love to exploit the chinks in his armoury. The Kotla pitch, which gets slower with passage of play, might force Dhoni to start with his pacers and keep Harbhajan and Tahir for the overs when Pant is expected to be in action. Harbhajan, after his man of the match performance against RCB, will be relishing the challenge of bowling to a left-handed batsman, who loves to play his shots. 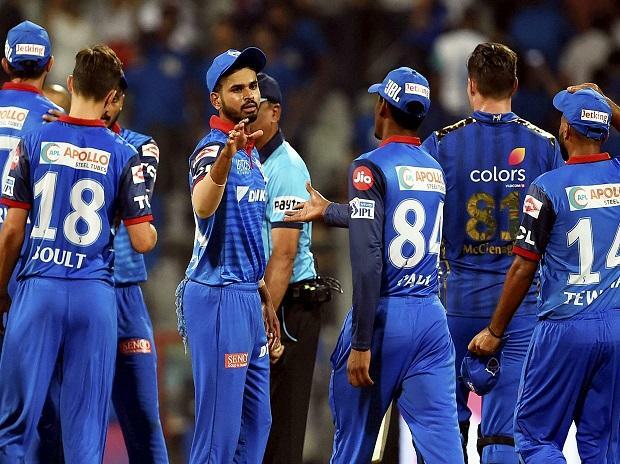 Delhi Capitals started their IPL 2019 campaign on a high as they performed superbly with both bat and ball in Mumbai. While the top-order showed grit and determination with Shikhar Dhawan and Colin Ingram sticking it out early on, Rishabh Pant showed what he is capable of by hitting 7 sixes in his innings of 78. In the bowling department too, it was an all-round show as Ishant Sharma (2/34) and Kagiso Rabada (2/23) led the show with the spinners chipping in with vital wickets. Axar Patel's figures could be a bit of a worry as he gave away 42 runs from his three overs, but it is still early days in IPL 2019 and DC will hope that he settles down soon. CSK vs DC match live streaming will be available live on Star Sports 1 HD, Star Sports 1 in English Commentary and Star Gold in Hindi Commentary. One can also live stream the CSK vs DC match on Hotstar app and website. DC Squad: Shreyas Iyer (Captain), Rishabh Pant (wicketkeeper), Prithvi Shaw, Amit Mishra, Avesh Khan, Harshal Patel, Rahul Tewatia, Jayant Yadav, Manjot Kalra, Colin Munro, Chris Morris, Kagiso Rabada, Sandeep Lamichhane, Trent Boult, Shikhar Dhawan, Hanuma Vihari, Axar Patel, Ishant Sharma, Ankush Bains, Nathu Singh, Colin Ingram, Sherfane Rutherford, Keemo Paul, Jalaj Saxena, Bandaru Ayyappa.